Yes, you can have that special day of your dreams, in the most beautiful country setting, and with the most unique accommodations, for less than you think. 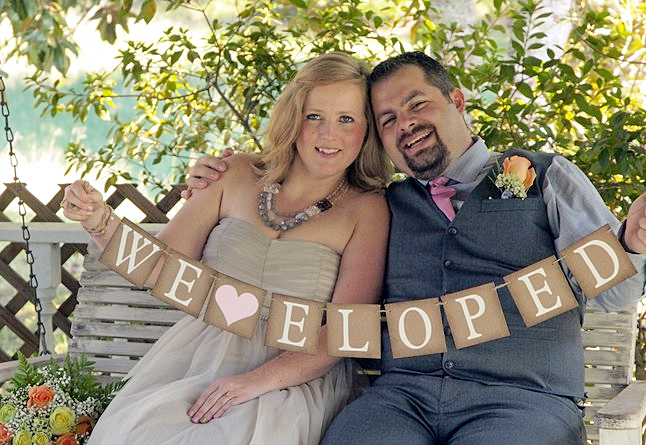 BlissWood Bed & Breakfast offers a variety of wedding and Texas elopement packages available, starting at just $800. 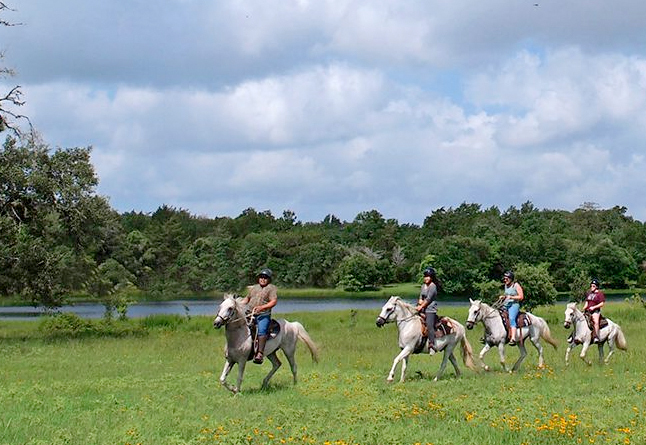 Our working guest ranch may feel like a world away, but we’re less than an hour from Houston, Texas, making us a convenient location for your simple elopement or dream destination wedding. Start your lives together with a big wedding among your family and friends, or just by yourselves and let the abundant wildlife — including horses, cattle, miniature donkeys, peacocks, fallow deer, black buck antelope, and even American Bison — be your guests. *2 night minimum stay required for package. Special holiday lodging pricing and 30% surcharge added to package price and photography for scheduling during holidays and special event weeks. Deposits for events are non-refundable. We are happy to help you customize any of our wedding packages to make your special day uniquely yours. If you would like professional photography, then you’re lucky to have our Pulitzer Prize winning photographer available for an additional charge of $450. After the ceremony you can enjoy a gourmet dinner at Carol’s at Cat Spring Restaurant for $59 per person, plus tax and gratuity. Relax before or after your ceremony with a 60-minute couple’s massage in your room for just $229 per couple, plus tax and gratuity. Our Weddings on Wednesday Special is perfect for couples with smaller budgets. You’ll get the Elopement Package for just $800. That’s a 20% savings when you book your elopement wedding on a Wednesday. Our 500 acres offer several beautiful backdrops for your wedding ceremony. You can choose to say “I do” in our classic gazebo or on the bridge over our Enchanted Lake, in our intimate gardens, among the lush meadows, and of course, under many picturesque live oaks. After your perfect ceremony, you can literally ride off into the sunset together on a relaxing horseback ride, challenge each other to a round of archery or trapshooting, enjoy each other’s company while fishing on the lake, or simply relax in your room with a couple’s massage. At our authentic working ranch, the options are endless to make your wedding day special and memorable. When all of the excitement from the day has settled down, you may want to just go relax by yourselves in your comfortable house or cabin. If you’re looking for rustic luxury, we have several private cabins and cottages available – some with fireplaces and private outdoor hot tubs. 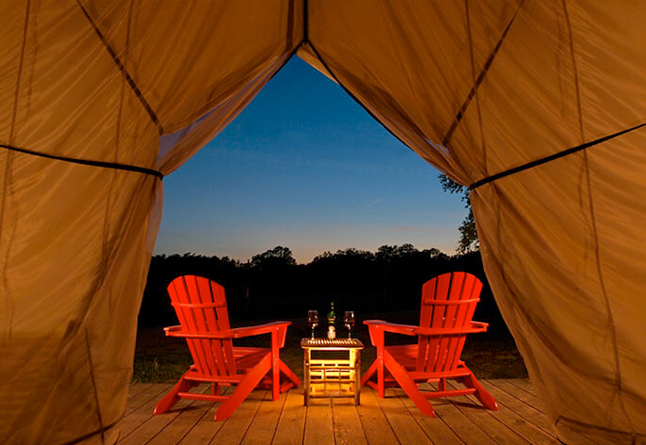 If you have an adventurous spirit, you may want to check out our cool Grand Safari Tent or our Deluxe Covered Wagon for a truly unique Texas “glamping” experience. All accommodations have private bathrooms, full or efficiency kitchens, and come with our continental breakfast delivered to you each morning. 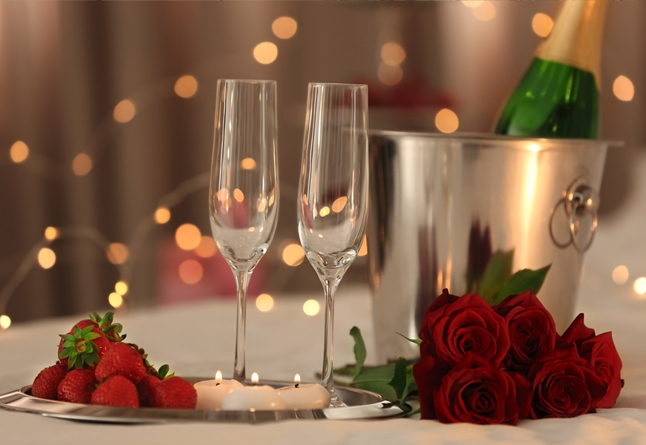 Since there is so much to do and see at BlissWood, you may choose to spend a romantic Texas honeymoon with us as well. We offer the perfect honeymoon location that is far away from it all, yet easy to get to. Whether you’re looking for quiet relaxation or outdoor activities, our expansive guest ranch has it all. • The next day, enjoy a Picnic for Two in the Gazebo at Enchanted Lake, included in the price. Add $60 during Valentine’s week due to seasonal price increases. We’re proud to have been voted “The Best of Where to Elope” in 2017, and when you arrive at BlissWood Bed & Breakfast Ranch, you’ll see why. Call us at 713-301-3235 or fill out our request form for more information on how we can help make your special day a perfect one.